Our 'in the hoop' wallet is the perfect accessory. We've redesigned our popular TriFold Wallet to fit a smaller hoop! Make sure the file will fit your hoop before purchasing. 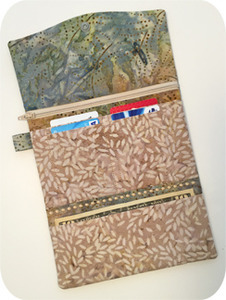 This wallet features 4 credit card pockets going vertically, a zippered pocket and a pocket for paper money. 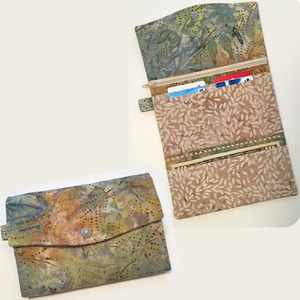 The zippered pocket is fully lined and has no exposed seams inside. Our wallet folds neatly and secures with a snap.